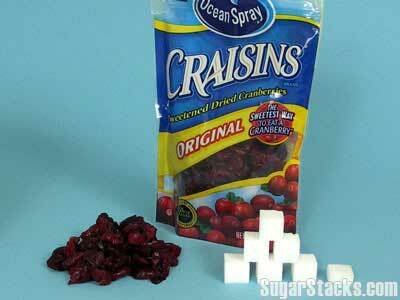 For the next 2 weeks, I will cut out refined sugar. There, I said it. I should probably write it over and over again on a piece of paper like standards. And then I should probably say it 100 times each day when I get up in the morning. And right before each meal. It’s really going to take that much to keep me on this track. I can almost guarantee that giving up sugar will be harder than giving up meat. Then again giving up meat was not hard at all for me, so what am I even comparing? I have such a sweet tooth. I am usually pretty good at controlling it. Lately, I’ve even gotten into the habit of cutting up fruit while I’m making my meal so I go for that instead of chocolate or ice cream or whatever other terrible sugary treat may sneak it’s way into my belly. It’s not as satisfying as a mug of Haagen Dazs (Omg. Dulce de Leche is my FAVORITE, ever), but it’s convenient and almost always works. Why am I doing this sugar strike? So, so many reasons. For one, do you know how bad for you sugar is? We all know about sugar highs, but what about the crash that follows? The never ending roller coaster of sugar high, then crash, then having more, etc. What about the cravings and addiction? Yes, addiction. The effects it has on your weight and in turn, your overall health? I’m sure some people will think, “Aileen, geze, enjoy your life! No meat or sugar?” Well I’m trying to do just that, enjoy LIFE. Food is not life. Sugar is not life. I’m trying to enjoy my life, healthfully. Wouldn’t it be nice for me to age and live healthily with decreased risks of disease and obesity? I think so. The Aileen 30 years from now thinks so too. When I am older with most of my life behind me, I’d rather be thanking myself for being making the “sacrifices” to be healthy than kicking myself for indulging and having all sorts of health problems. What exactly am I cutting out? I will be completely cutting out processed sweets like cookies, cakes, ice cream, etc. Oh boy, just typing that freaks me out because I can feel failure creeping up on me. I always give in. Sounds like an addiction doesn’t it? Well I’m doing it. Sorry dad, our Tuesday night piece of cherry pie with ice cream on top? It’ll have to stop for at least 2 weeks no matter how much it kills me. Don’t let me do it. I will also be cutting out soda completely. Honestly, that’s not bad because I rarely have it. I occasionally have it when Blaine and I go out to eat because we usually share a drink and I know he prefers soda. And I’m ok with that because we stopped buying it and keeping it in the house. (Go us for that small victory!) Me? I usually drink water or unsweetened iced tea. I’ll also have a cup of orange juice with breakfast most days. I only buy Simply Orange. But still has 26g of sugar in 8 oz. Can a girl not even enjoy 8 oz of orange juice?! So there – sweets/desserts and soda. GONE. Who wants the left over hershey bars that I’m still working on from the wedding in October? Someone take them, now. 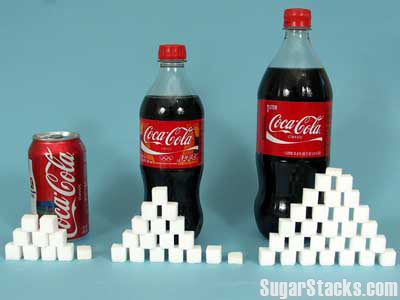 Then there’s the sugar hidden in everyday foods. Bread. Pasta. Sauces. UGH! What am I going to eat? I’m limiting my bread and pasta intake. I won’t be eliminating it completely at this point. Opting for whole wheat bread, as usual. Pasta? Did I mention we have like 10 boxes of that left from the wedding too? Well I hope I can keep it well hidden in the garage for the next 14 days. My goal is for less than 50 grams of sugar a day. My Fitness Pal actually recommends 28 grams per day for me and a little higher if I work out. Baby steps, right? Since fruit contains sugar I’m allowing myself up to 50 grams because I’d rather be able to eat a few pieces of fruit than go back to sweets. One of those Hershey bars I’ve been having several times a week? 24 grams. Not allowed. I HATE throwing away perfectly good food. No really, I feel like I should send it to someone who will eat it rather than throwing it out. I feel terrible when I throw away food. I usually have Blaine eat something I don’t want to eat. But now I’m thinking about it and what am I doing??? Why make him more unhealthy by trying to make myself feel better about not throwing it out? Trash it is. Maybe I’ll eventually get the point and not buy it because if I do it’ll end up in the trash. Another challenge is that I’ll even have to limit my fruit intake which is no fun. There is a lot of sugar in fruit, although fruit has a lot of good nutrients too. But if I want to try and stay under 50 grams a day, it just might have to happen. We’ll see how it goes. I’ll definitely update with my progress. Maybe it’ll be a breeze and I can lower my sugar intake even more. Right?… maybe? My sugar strike will not be forever. As if that would ever even work. But I’m hoping to break the sugar habit. 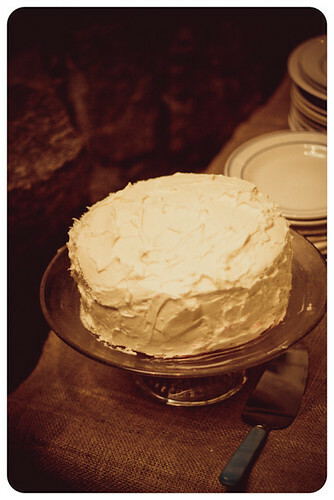 Since I always crave sweets after a meal, that’s my biggest trigger. It’s a habit I need to break and then once that’s gone, we’ll see how sugar in moderation goes. Now through January 30th, I will be in full control of my cravings. My Fitness Pal: I try to use this as much as possible to track meals and exercise anyway, but I’ll definitely need it to keep track of my sugar intake. 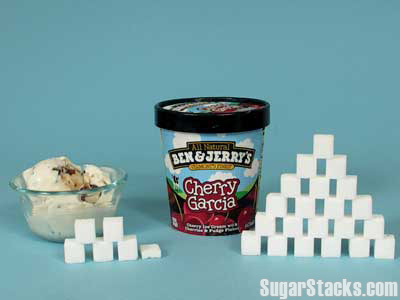 Sugar Stacks: The images I’ve been using in this post are from here. 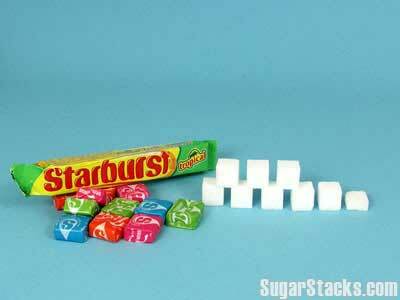 It’s a fun, eye opening little website that shows how many cubes of sugar there are in sugary foods/drinks. A 20 oz soda? 16 cubes of sugar. Yikes! LADY! you are so crazy! I can’t give up sweets, but I use My Fitness Pal to keep track and it really helps. I’m a sucker for pasta and bread… but in the name of healthy living, I’ve found alternatives. Squash spaghetti is THE BEST. I LOVE SQUASH/ZUCCHINI so I use it to replace pasta (when I’m not splurging on real pasta) try it out! It’s delicious! Haha, it’s only 2 weeks, I think I’ll live! And spaghetti squash is awesome! I started doing that a couple of months before the wedding and kind of lived off of it for a while. So yummy.